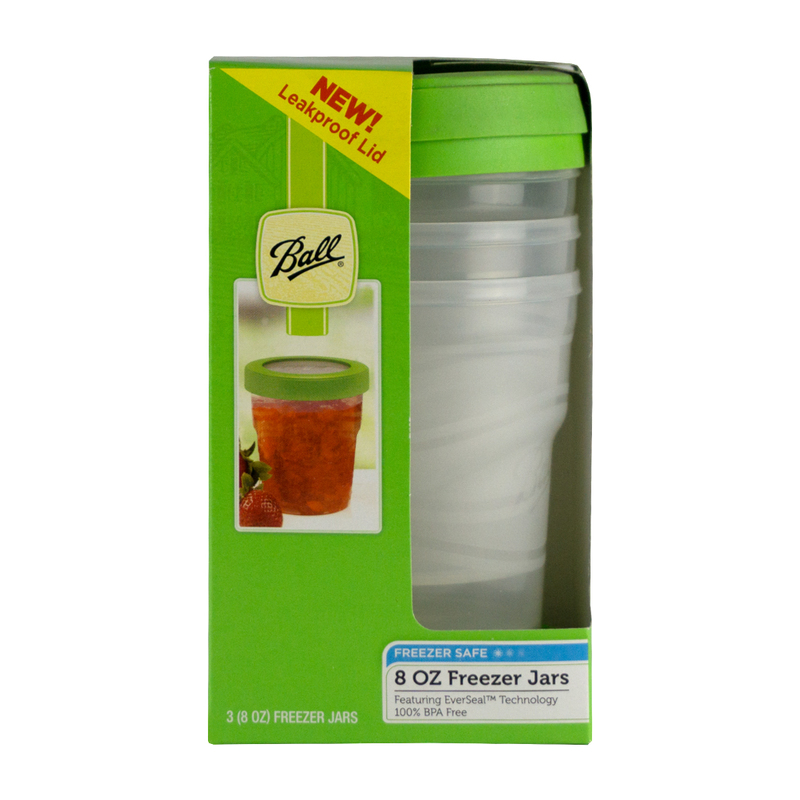 8 oz Ball Plastic Freezer Jar 3 Pack -Stack - Lock - Store! 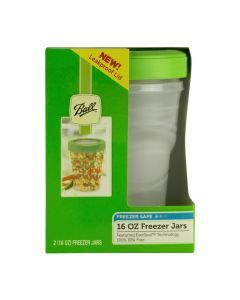 These plastic containers exhibit a locking lid design and a leak-proof seal, can handle soups, leftovers, and frozen vegetables. They are made with BPA -free plastic and are dishwasher safe on the top-rack. These 8 oz containers are available in a 3-Pack or by the case, which includes 6 packs of 3 (for a total of 18 freezer containers & lids) MADE in the USA.